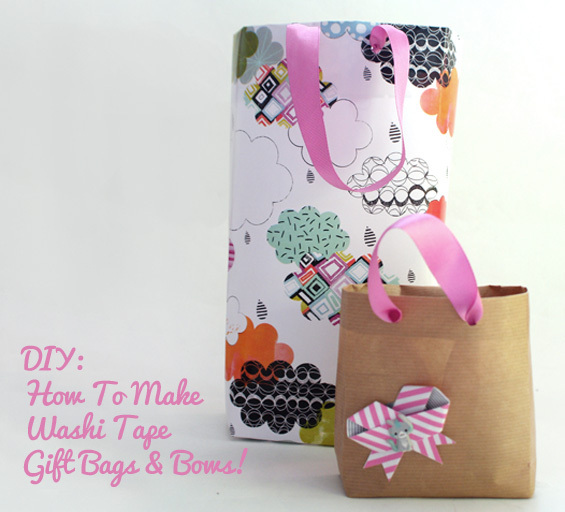 Today’s instalment of our washi tape diy series is going to save you a fortune in the wrapping department! 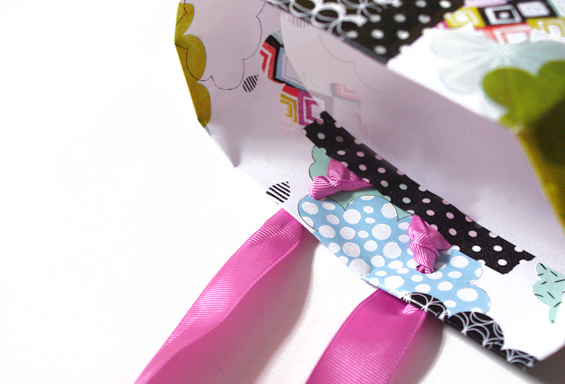 This super easy tutorial shows you how to make your own gift bags (and bows!) 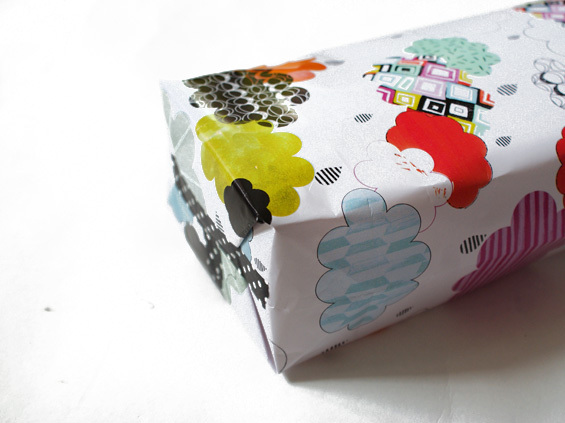 by using mt tape and wrapping paper / brown paper, or even newspapers and magazines. Not only does it look great and match in style, it’s eco friendly as you’re recycling 🙂 What a winner! 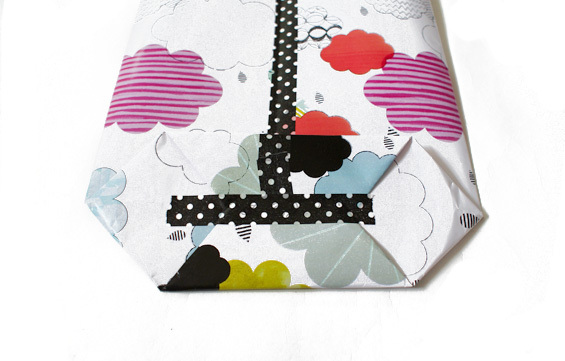 To make the gift bags you’re going to need some cute paper, washi tape (mt tape) ribbon and some sharp scissors. A hole punch is also super useful, but don’t worry if you don’t have one, you can just cut holes with your scissors. To start, cut out a large rectangular piece of paper. If you want your gift bag to be tall, make it high in length; if you want it to be wide, make it long in width. Experiment as much as you like with scraps of paper to get a feel for it. 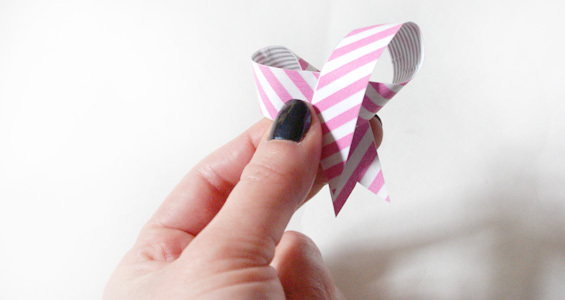 Fold the two edges together and overlap them slightly in the middle and stick them together with a length of washi tape. To make the flat base, fold a few inches of the paper up from the bottom and press flat. Open the rectangular base so the sides fold in (as shown in the second image above) and press flat. 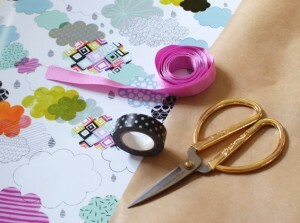 Crease the sides of the bag to give it a lovely 3d shape. No one will know you’ve made it! To add the handles, fold the top of the bag in on itself by a couple of inches. This will make it sturdier. On the outside measure and mark out where you want the bag handles to go. Use your hole punch (or scissors) to put holes in the bag and thread through your ribbon. To secure, knot the ribbons handles on the inside and add some tape to keep them in place. 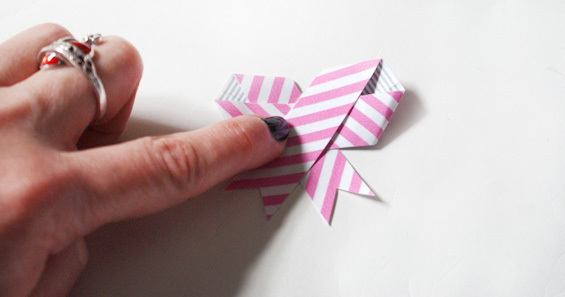 Start by sticking down a length of washi tape on a piece of scrap paper and cut it out. 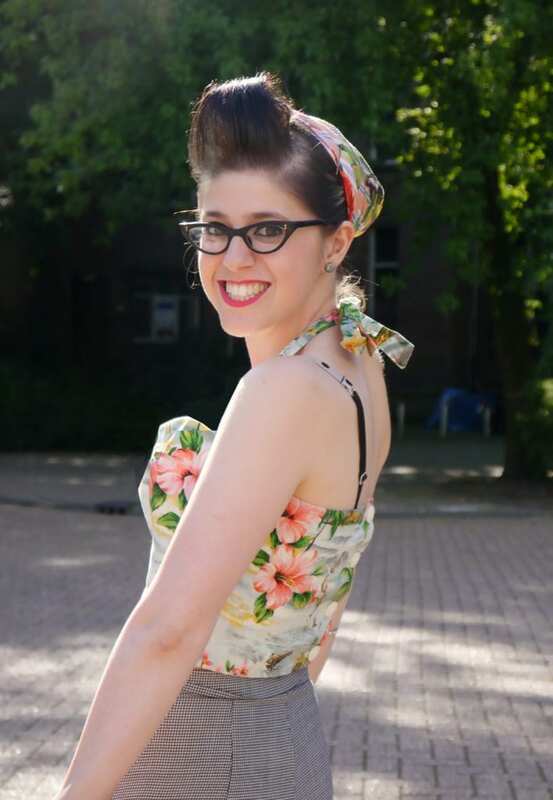 To make it extra cute, add some contrasting tape to the reverse side too. 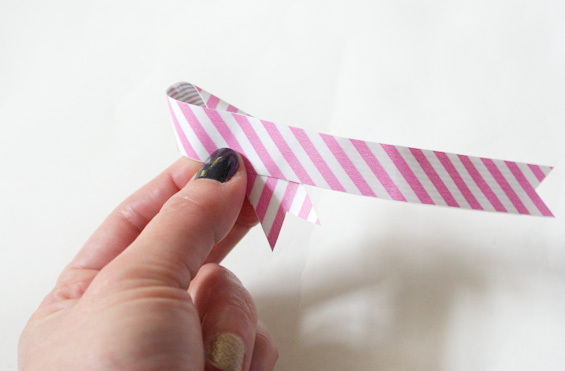 Loop round the first bow end by folding one end of the tape round and behind the other. Repete with the other side of the tape, but this time let the tail end of the bow lie over the top in the middle. This part can be a little confusing so take your time. 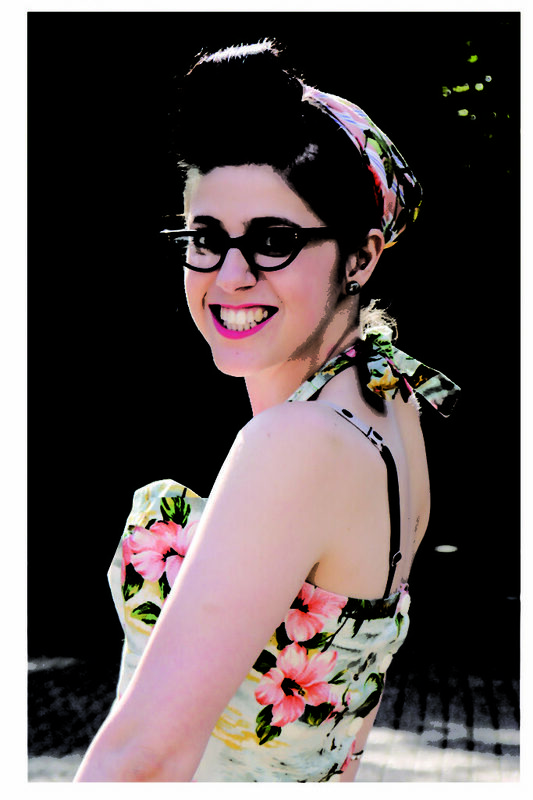 When you’re happy with the bow shape, flatten into place. So cute! 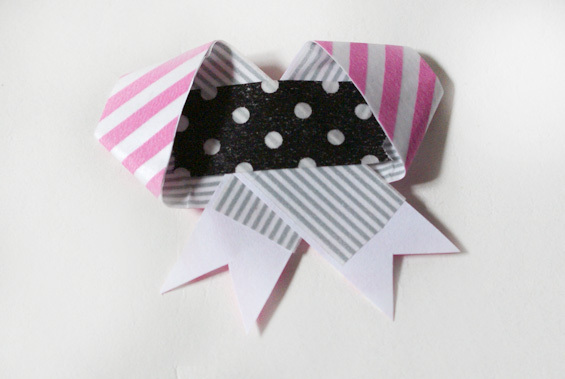 Flip it over and tape the back of the bow so it doesn’t open up when you’re not looking! Add some unbearably cute stickers and you’re done! 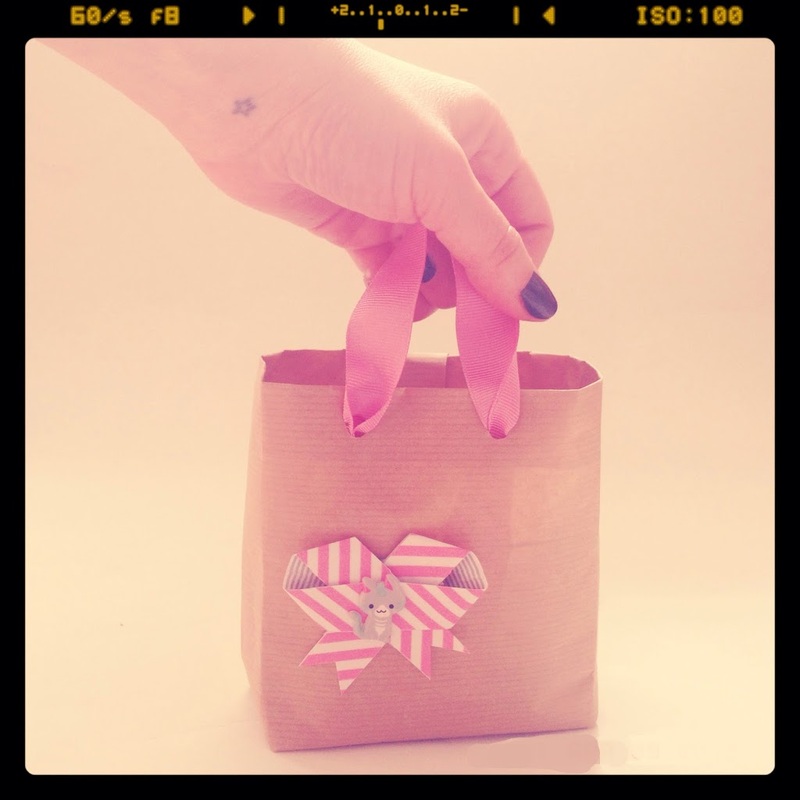 Attach it to your gift bag with a little tape or glue and you’re going to have the prettiest customised gift wrap in the world! 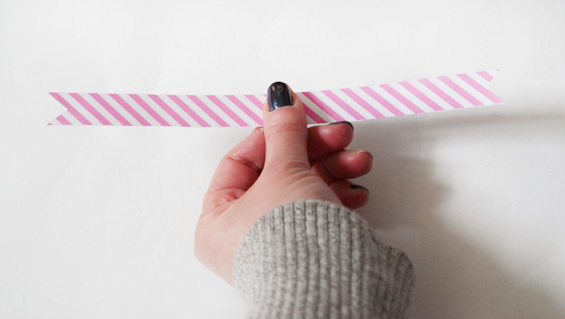 We hope you’ve enjoyed reading our washi tape diy series as much as we’ve enjoyed making them! this is so cool, i can’t wait to try it !